Mood elevation with essential oils. Do you start your week a little down because you have to get up and go back to work? Start your week with Elevation, a perfect blend of invigorating essential oils that can lift up your mood and increase your energy. You can diffuse this oil, or place a few drops on your wrists to promote a revitalizing environment. I use Copaiba daily it supports so many of our systems – cardiovascular, digestive, immune, nervous, & respiratory…and it adds a touch of antioxidant protection…What more can we ask for in a natural product? It is indeed a gift from God. 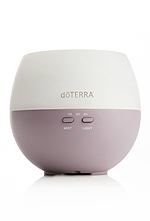 Essential oils are natural aromatic compounds found in the seeds, bark, stems, roots, flowers and other parts of plants. If you have ever walked thru a field of lavender, stopped to smell the roses, used freshly cut mint you have experienced the aromatic qualities of essential oils. Continue reading Essential Oils – what are they? Cinnamon is well-known for its use as a spice, but are you aware that it also has many health-promoting benefits. This product can be used aromatically, topically (with dilution) or internally. Add Cinnamon essential oil to your favorite recipes in place of ground cinnamon for a delightfully spicy flavor. *These statements have not been evaluated by the Food and Drug Administration. This Product is not intended to diagnoses, treat, cure or prevent any disease.